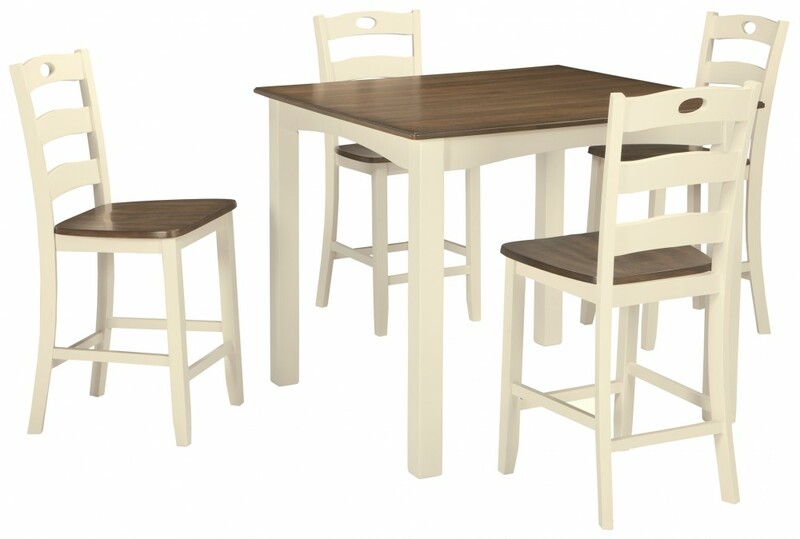 Showcasing storybook charm in the most simplified and beautiful way. 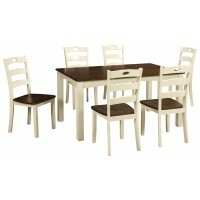 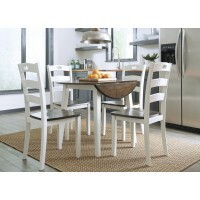 this 5-piece dining set is cottage style, freshly served. 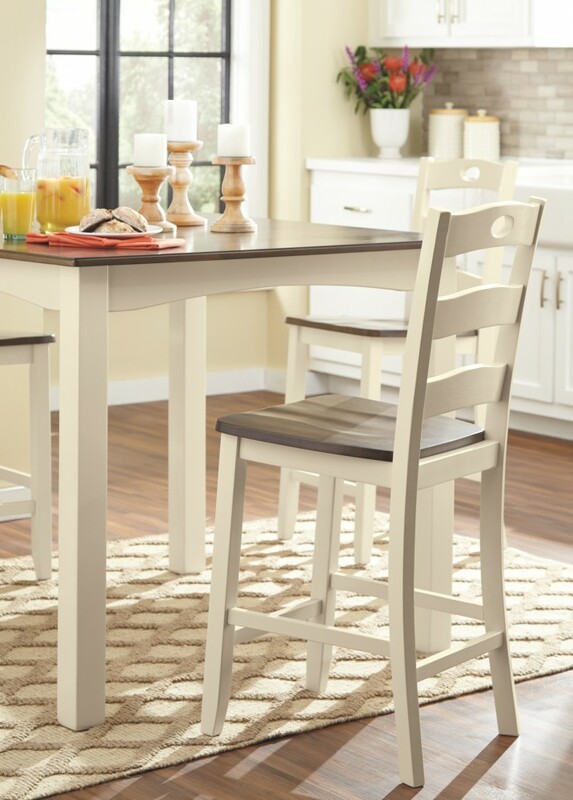 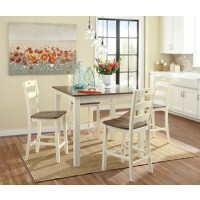 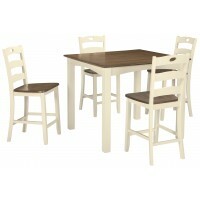 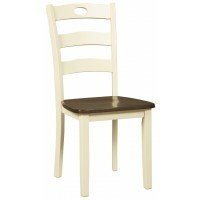 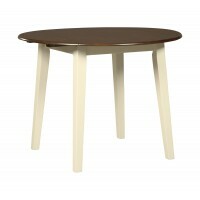 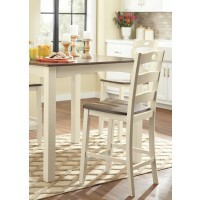 Brown tabletops and stool seats add a warm touch to the white table base and chair frame. 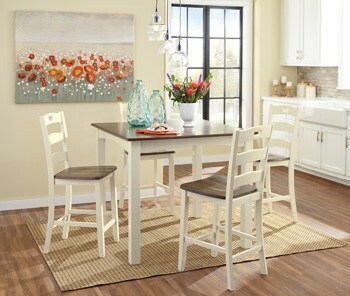 Table’s arched aprons and the stools’ pierced ladderback design factor in plenty of appeal. 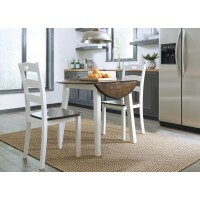 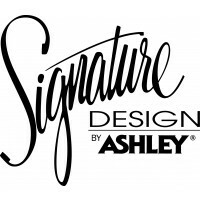 Contoured seats add comfort as you sit and enjoy your time here.